1. Endless***** by xkdgjkstdjrsj Jun 9, 2012 Great cd from a great guy. Knowing Marcus personally, I can tell you he has a great heart for God, and it manifests in his music. Whenever you're down, put this cd in. Guaranteed to lift you up! 2. Impressive*****by ipdnano Jun 6, 2012 Very inspirational music! Nice work!! 3. Awesome*****by NathanEC Feb 27, 2012 Incredible man with an incredible voice! Definitely worth the money. 4. Passionate*****by bbauschwitz Jun 26, 2012 You can tell by the style and structure of the entire album, that there is passion and pride going into the songs. Not only are they full of truth, but they are full of passion and are fun to listen to. You can tell that a lot of time and devout passion went into this album. One of the best albums I have ever owned. 5. 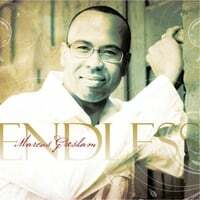 Endless*****by Jorick16 Jun 21, 2012 Great worship album reminding us of the very real, supernatural presence of our loving God! Love Living Waters for quiet worship.